Cruising Yacht Club of Australia originally introduced the Southern Cross Cup, a series of races out of Sydney and including the Sydney Hobart Yacht Race, back in 1967 after an Australian team first won the famous Admiral's Cup in England. 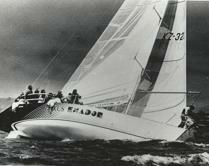 The Southern Cross Cup was last conducted in 2001, before being re-introduced to the 2013 and 2014 sailing programs. 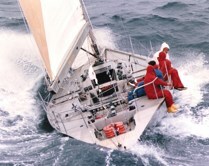 The re-introduced Southern Cross Cup series in 2013 and 2014 consisted of four races: the CYCA BWPS Bird Island Race, the two CYCA Trophy Series races and the Rolex Sydney Hobart Yacht Race. Three boats represented each team with Clubs, States or Nations invited to enter multiple teams. 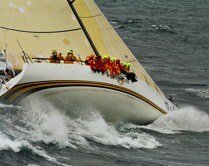 CYCA has plans to conduct the Southern Cross Cup in anniversary years of the Rolex Sydney Hobart Yacht Race.